Meet the experts at Kinetic Staffing who provide excellence in legal, accounting, executive management, administrative, project staffing and IT placement. Alan focuses on executive search and long term staffing engagements for professional service companies. He is a trusted resource for regional and national law firms and accounting firms, providing custom recruiting solutions. He received his bachelor of arts in economics with honors in 1993 from Millsaps College and a master of business administration from Millsaps in 1996. He is a 2003 graduate of the Leadership Mississippi program and a 2004 graduate of Leadership Jackson. In 2005, Alan was named to Mississippi’s Top 40 Under 40 by the Mississippi Business Journal. In the past, he served as a Trustee for SafeCity Initiative and on the board of the Boys & Girls Clubs of Central Mississippi. In 2011, he served on Mississippi Governor Phil Bryant’s Transition Committee for Jobs. In 2017, he was nominated by Governor Bryant to serve on the Mississippi Information Technology Services Board. He also currently serves on the Else School Advisory Board for Millsaps College and on the Alumni Advisory Board for Jackson Prep. Kathryn joined Kinetic Staffing in 2007 and manages the firm’s long-term staffing projects as well as a variety of executive search engagements. 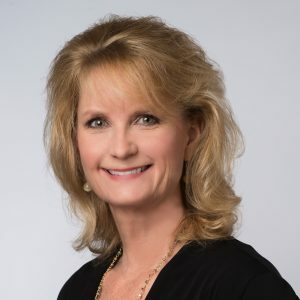 She received her bachelor of business administration in marketing with honors in 1987 from the University of Mississippi and a master of business administration in 1989. She began her human resources career at the Louisiana Department of State Civil Service in 1999 and later worked in the human resources office of the Mississippi State Tax Commission. Kathryn earned a professional in human resources certification in 2003 from the Human Resources Certification Institute. She is a member of the Society for Human Resource Management and Capital Area Human Resource Association. DLA Belcher joined Kinetic Staffing in 2008 and is responsible for all accounting and payroll functions. Kate Heard joined Kinetic Staffing in 2016 and assists Kinetic in a recruiting role working with both clients and candidates.